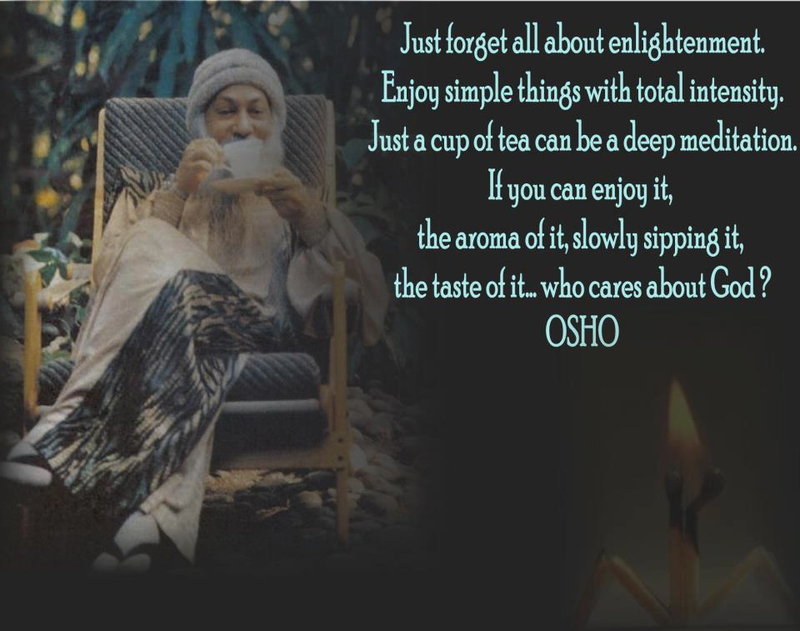 “Just forget all about enlightenment. Enjoy simple things with total intensity. Just a cup of tea can be a deep meditation. If you can enjoy it, the aroma of it, slowly sipping it, the taste of it…. who cares about God? ~ Osho | Gurly's collection of quotes, notes & video's made by great people who have been sharing their enlightenment through their words and actions. This entry was posted in Life, Meditation, Quotes, Self development and tagged Meditation, Osho quotes, Quotes, Spiritual by Gurly Hafsmoe. Bookmark the permalink. Being able to enjoy a cup of tea is the act of an enlightened person..ha..ha. Enjoying and being present in every action is the basis of a mindful life.